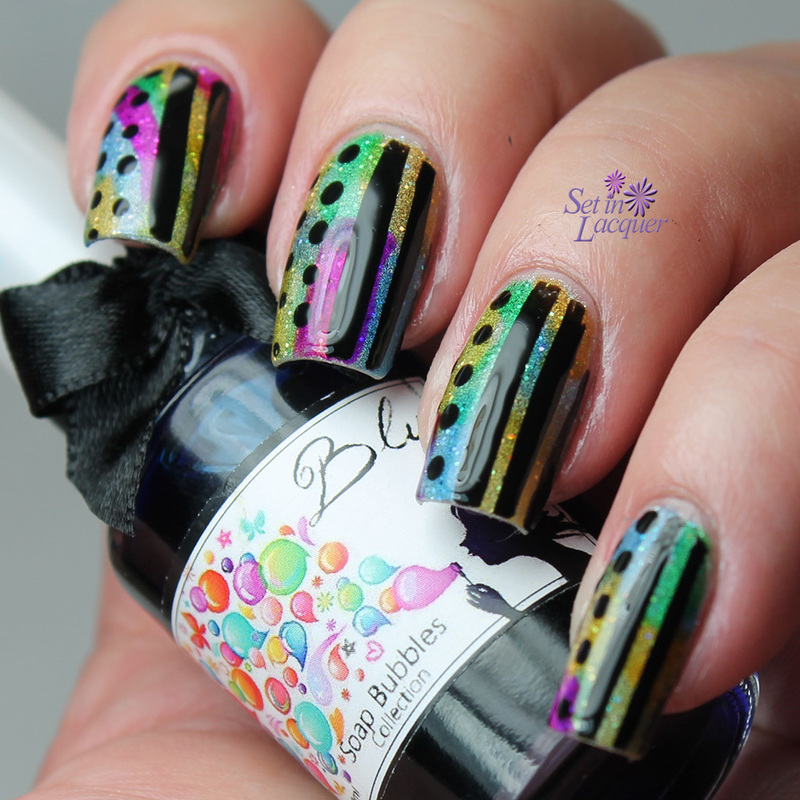 I recently managed to snag the Esmaltes da Kelly Soap Bubbles collection and I couldn't wait to play with them. I love the sheer illusion they create. 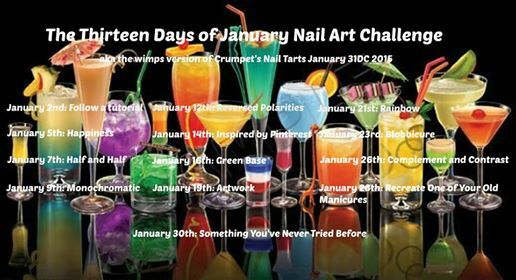 I started out with a base color of Zoya Willow. 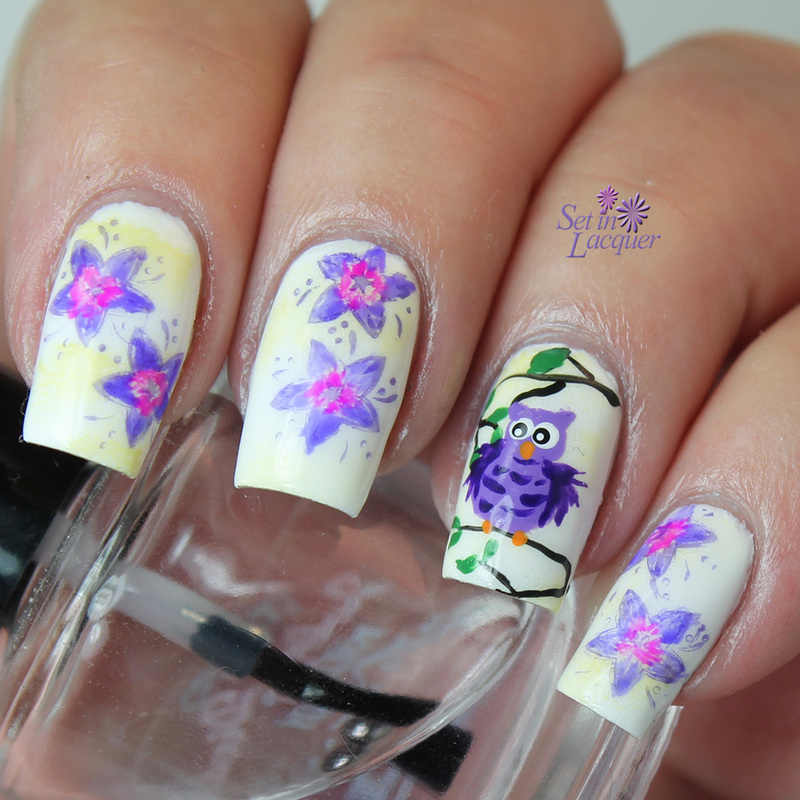 Then I added white acrylic paint in the basic shapes of flowers and leaves. 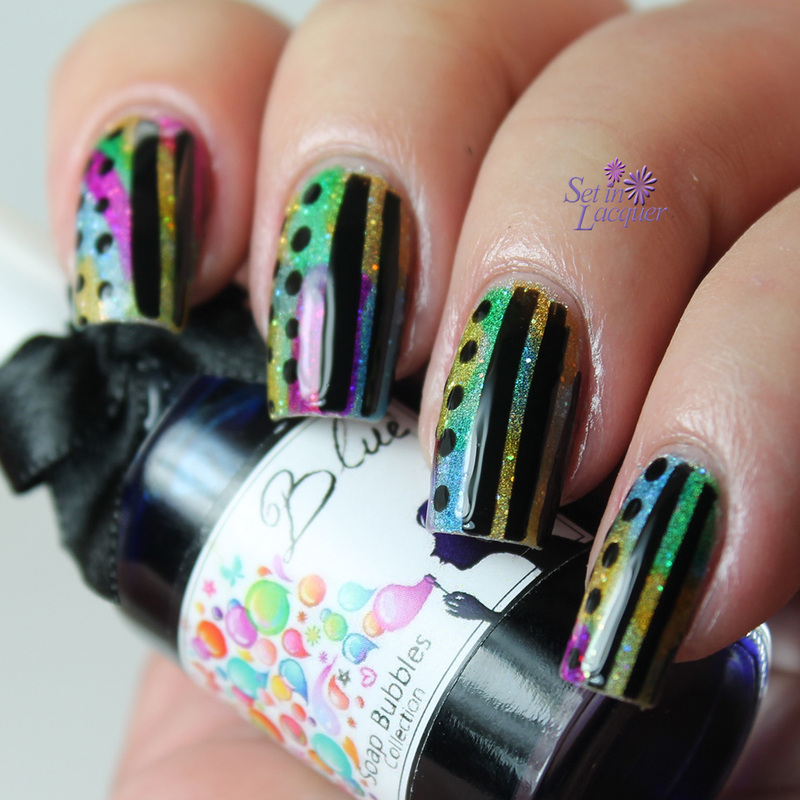 I also added a diagonal corner with a silver holographic polish by Colors by llarowe. I had no reason for doing this other than I wanted to see how they worked over a holographic polish. Then I started coloring. 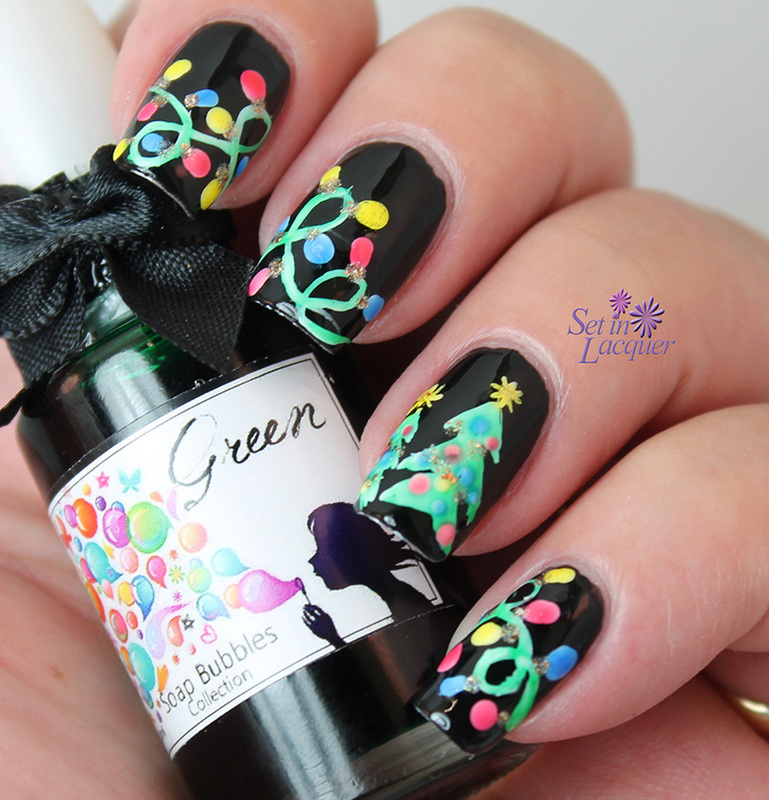 That's basically what it is.. coloring in the white with various colors from the Soap Bubbles collection. I used Pink, Purple, Green, and Moss to fill in the flowers and the leaves. I used Blue over the diagonal corner. I topped it off with a top coat of HK Girl. The tints worked wonders. Looking back at it now, I realize you don't have to worry about staying completely in the lines - especially over a black polish. These jelly tints are thicker than I thought they would be, but worked amazingly well. They are vibrant and colorful. This must be Indie week! 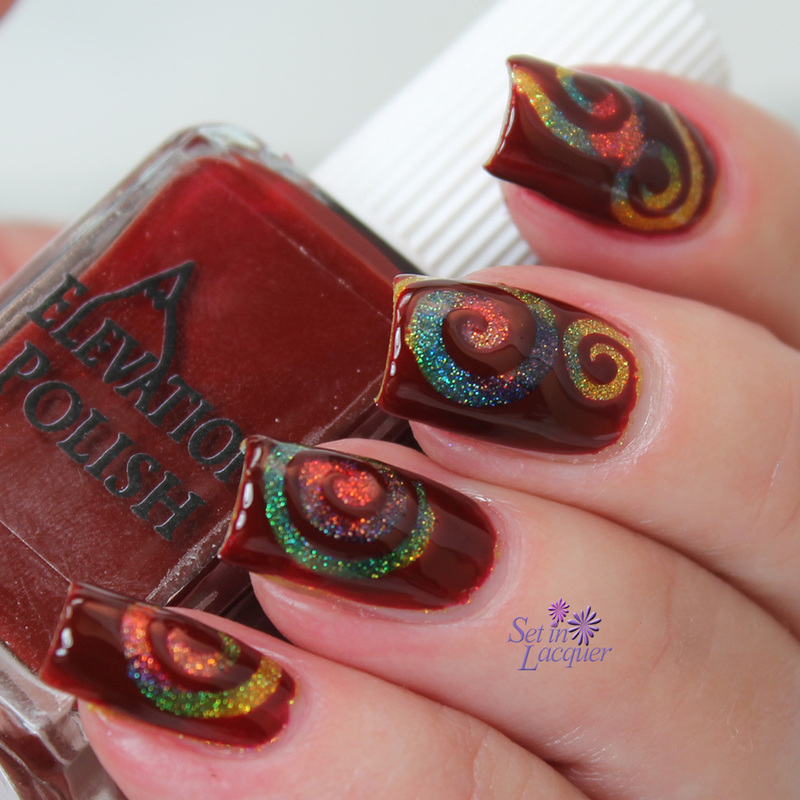 I have another new-to-me brand of polish to share with you today - Esmaltes Da Kelly. 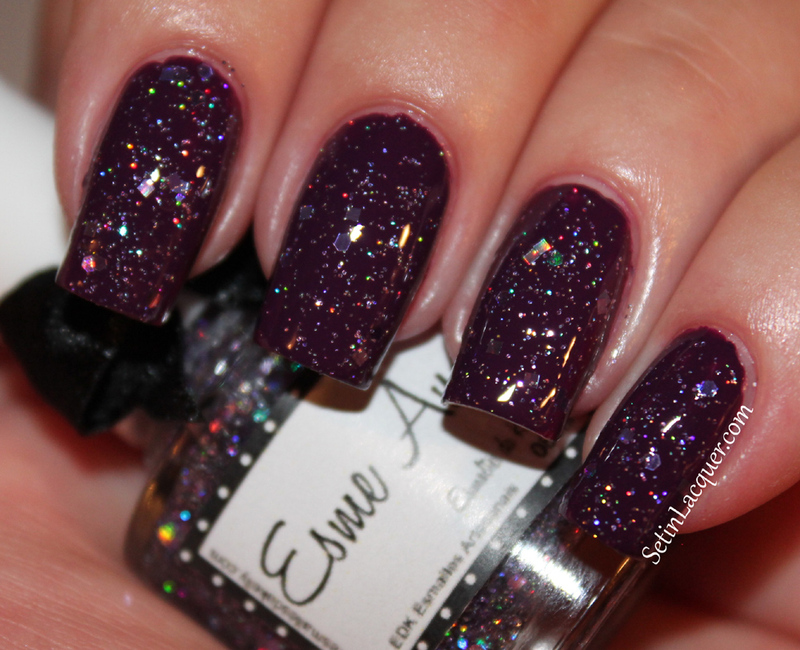 I have two of these gorgeous luxurious glitter polishes today. 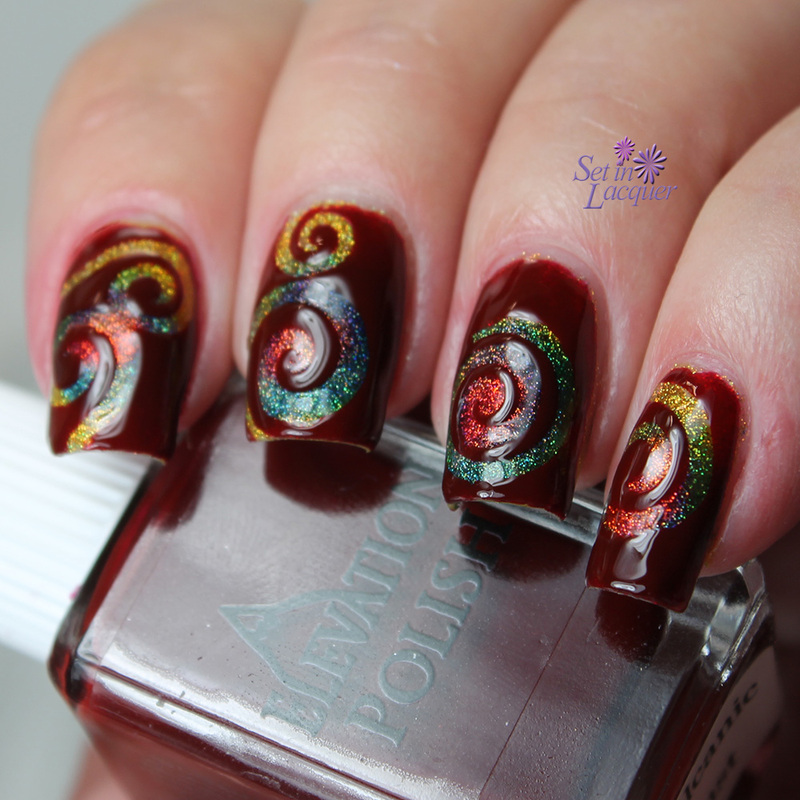 The polishes have a great formula. There was no fishing for glitter and they applied wonderfully and smoothly. 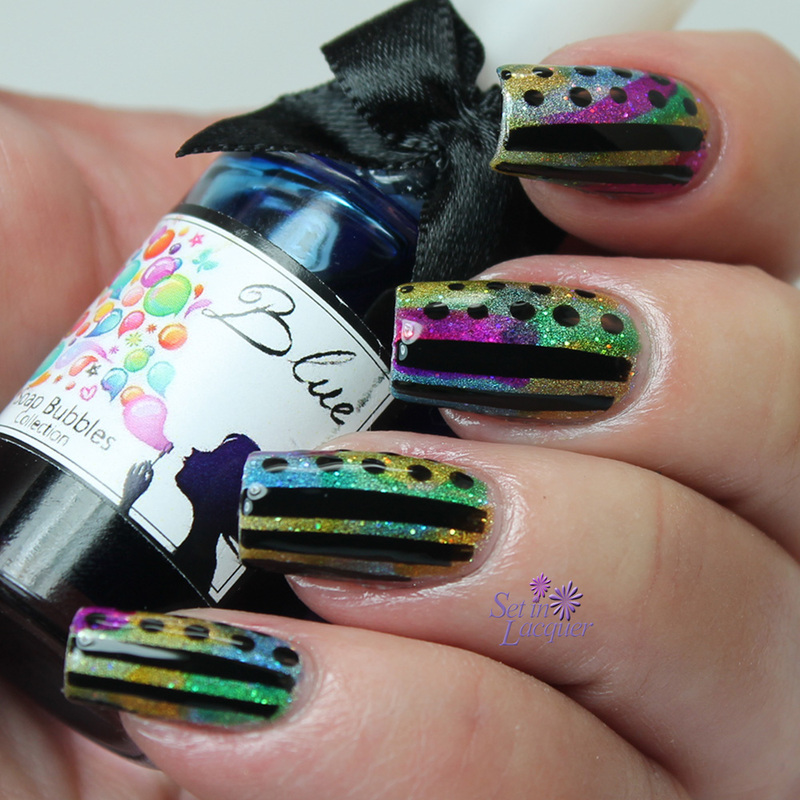 You can buy these polishes and more from this Indie maker at Color4Nails for $8. Let's move straight on to the swatches. 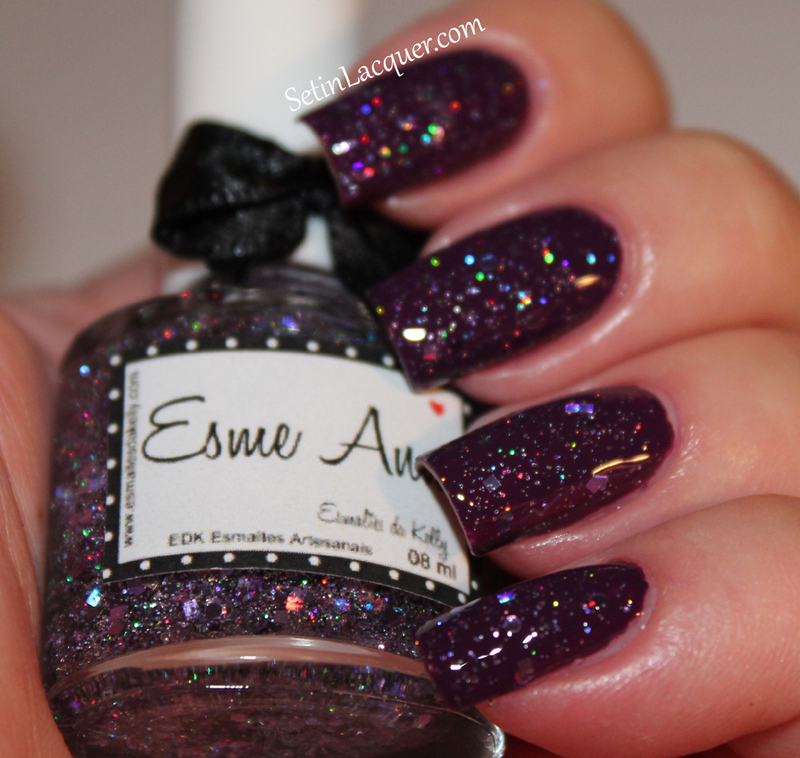 Esme Anne - has varying sized and shaped holographic glitter in a clear base. It applies easily and there is no fishing for any of the glitter. 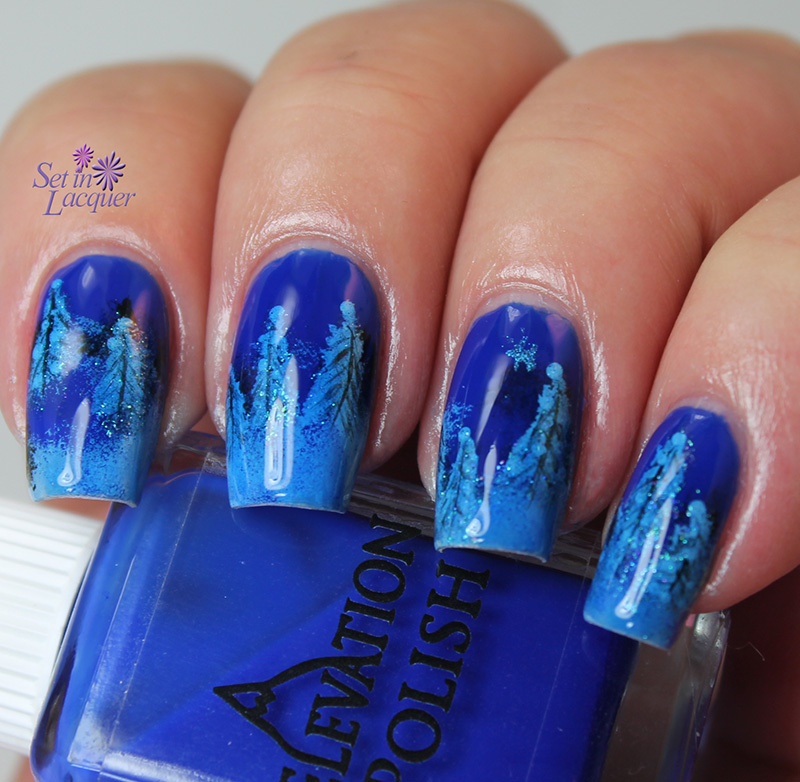 This is one coat over Seche Clever and Confident and a topcoat of Seche Vite. 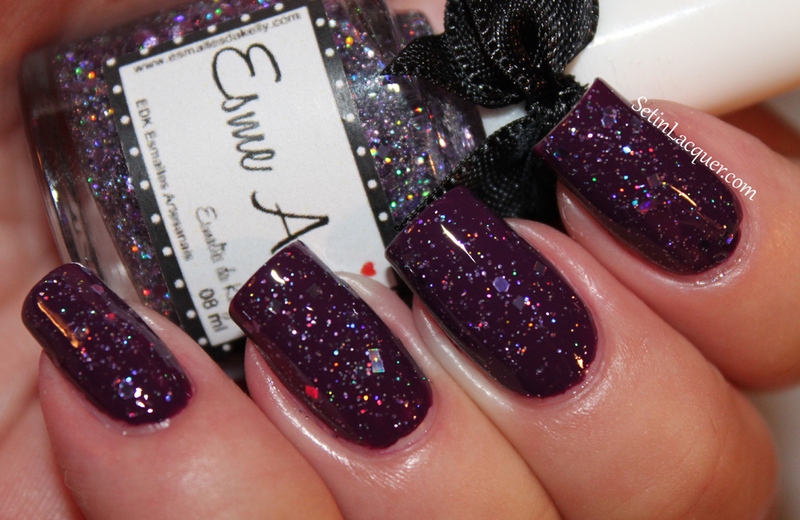 Ana Carolina - is a pink, purple and red glitter in a purple base. It applied smoothly and evenly and the shimmer and shine of the micro-glitter is amazing. 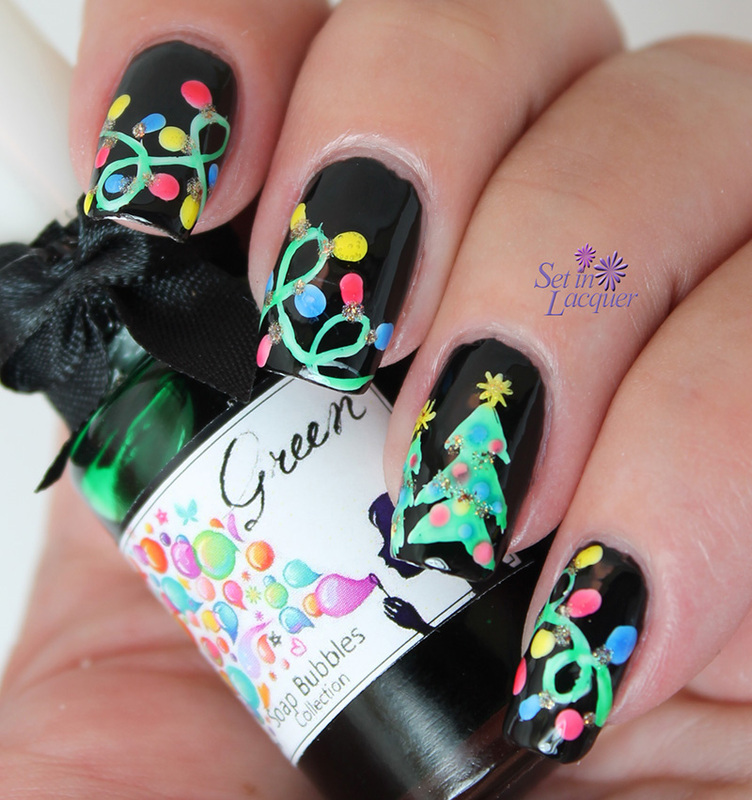 This is two coats with a top coat of Seche Vite. 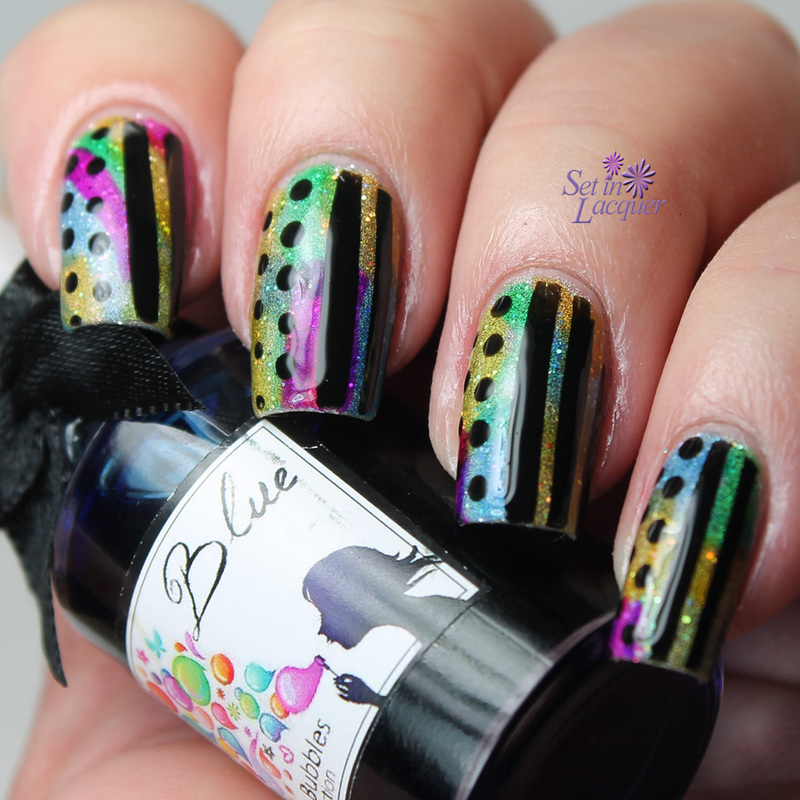 I am definitely going to be watching this Indie maker for new polishes and add more to my stash. You can purchase these polishes at Color4Nails for $8 each. 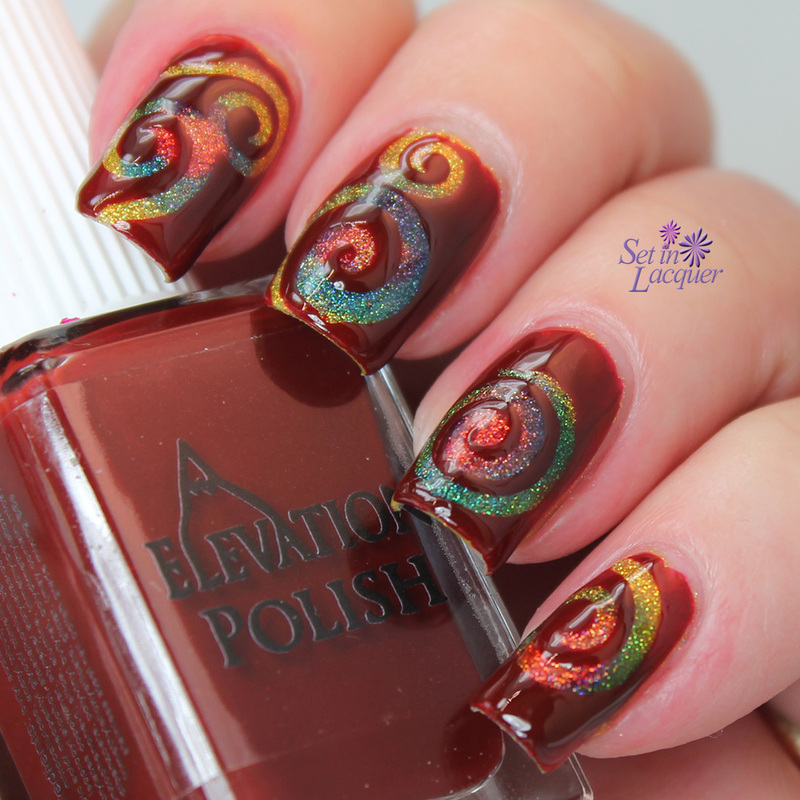 Make sure to check out some of the other amazing glitters in this collection. 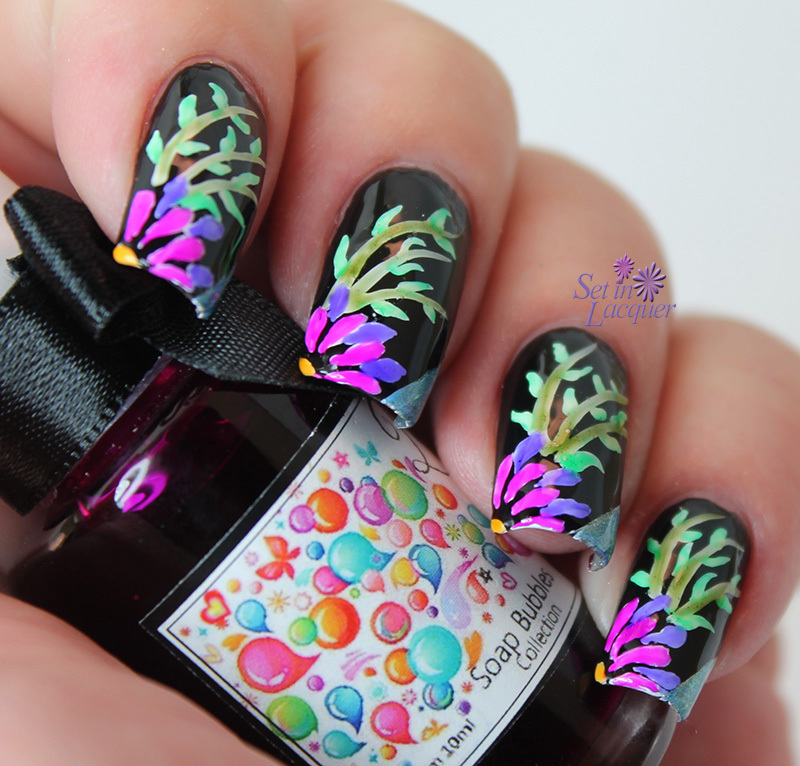 Follow Color4Nails on Facebook to keep up-to-date with the latest releases and sales.